In 2009, the French Ministry of Culture began an $18 million restoration of the medieval Chartres Cathedral, a UNESCO World Heritage Site 50 miles southwest of Paris. 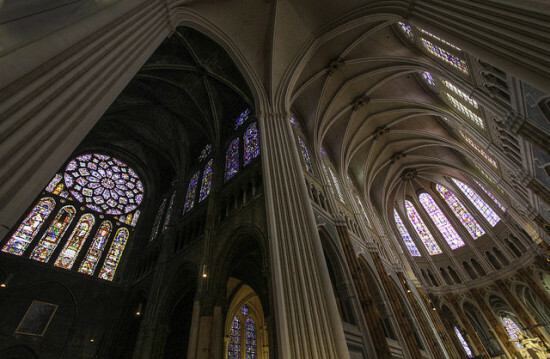 By 2017, the Gothic structure is intended to look similar to the original 1194–1250 construction. However, as the past 765 years of dirt and grime are erased, critics are denouncing the project. To cleanse the interior of candle and oil grime, the French Ministry of Culture is painting the interior masonry its original color, a creamy-white. 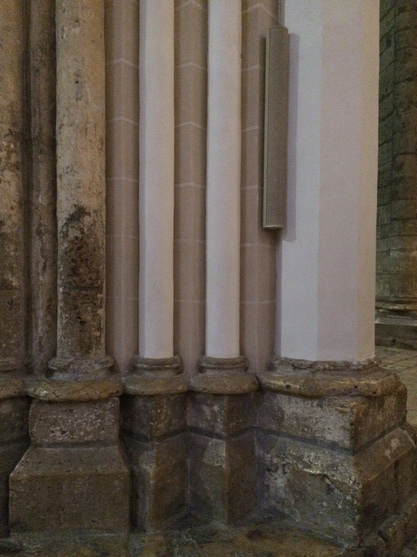 However, the freshly painted masonry looks out of place against the undulating stone floor. And now, the floor, worn by centuries of pilgrims, looks filthy against the freshly painted walls. 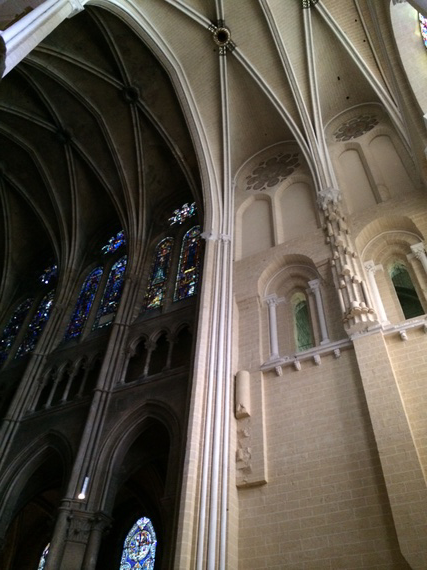 Originally, the vaults were illuminated by candles that hung from the columns and natural light that filtered through the stained glass windows. Now, the space is lit with bright, 21st century lighting. 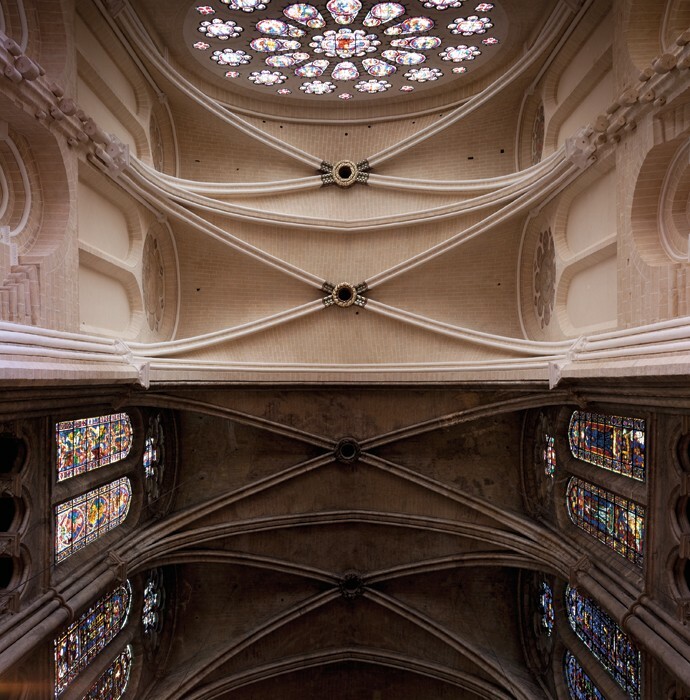 Stefan Evans, Franco Scardino, Leila Amineddoleh, and Adachiara Zevi started a petition, Save Chartres Cathedral, to stop the renovation. 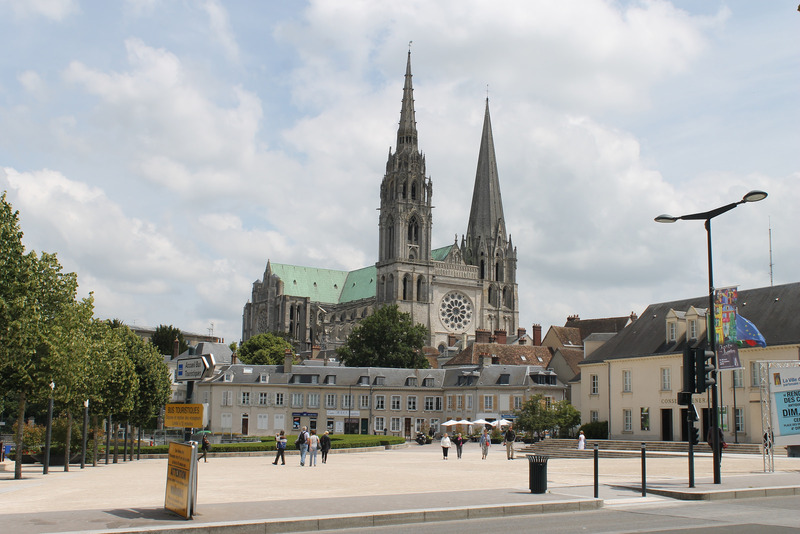 The four sponsors believe Chartres’s restoration violates the 1964 Venice Charter, which prohibits the addition of new construction, demolition, or modification of historic buildings in ways that change the original composition and color. Save Chartres Cathedral has 573 supporters and counting. The petition can be signed here.